Sigma is the only confirmed Mega Man costume currently. The debut trailer, by the way, has a few misc. Mega Man nods sprinkled about. There's an S-Tank at 0:30, a Mega Man X4 banner at 0:39 (and again at 0:49) and a Mega Man X remix at 1:07. Super Ultra Dead Rising 3 Arcade Remix Hyper Edition EX Plus Alpha is now available exclusively on Xbox One. During the painful "Hadouken" themed rap number at the very end, you can hear the 1up sound from the SNES X series. I'm just shaking my head at you. 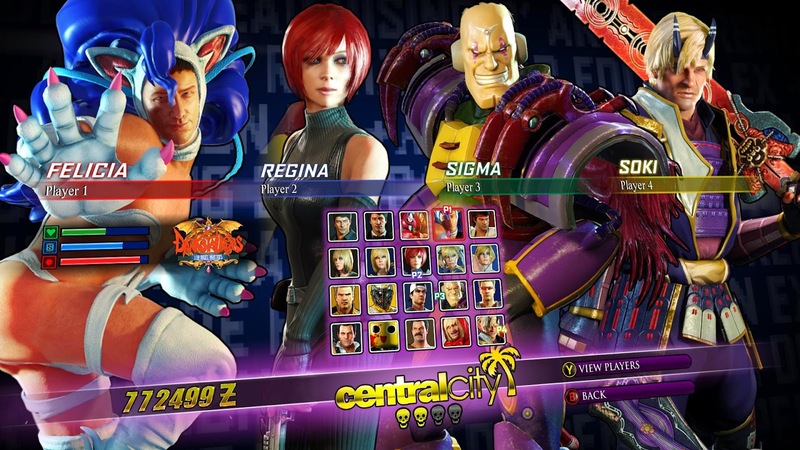 Looks like Sigma is the only one on offer from the start at least (unless you count generic Servbot head costume). 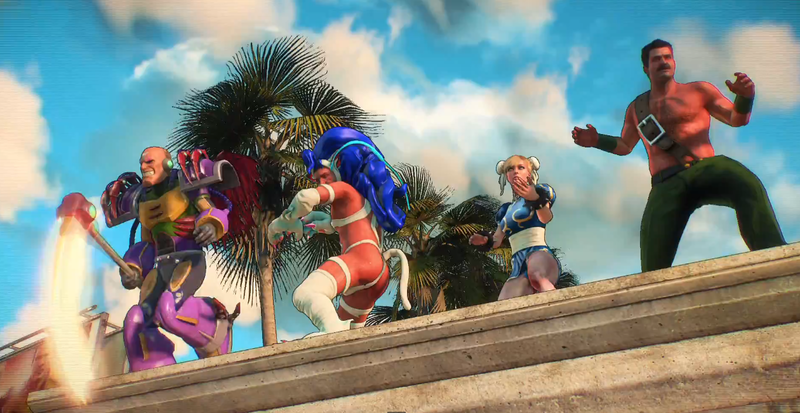 Don't know about unlockables though, seeing as how Akuma appeared in the trailer but there is no costume for him in the image. Unless that Akuma was an enemy of course. Only XBOX360??? Not PS3 or PS4??? Microsoft Publishes DR3. Don't expect it on Sony consoles any time soon. Hey look, you get to dress up as zombies in a zombie game! Ridiculous and very silly! I am shaking my head at you in shame! I am skipping it! That's hilarious. xD I've never played Dead Rising, but this made my day anyway. Dudes, I think this is hilarious. If Capcom decides to release an awesomely titled Super Ultra Dead Rising 3 Arcade Remix Hyper Edition DX Plus Alpha, more power to them. I think it's a great way to make fun of themselves, and it shows that possibly the company is starting to realize how dumb they can be--and that realization could bring them back to new Mega Man content someday. For now, I'm enjoying this. I strenuously doubt Bluecastle is going to start any kind of counterculture here. 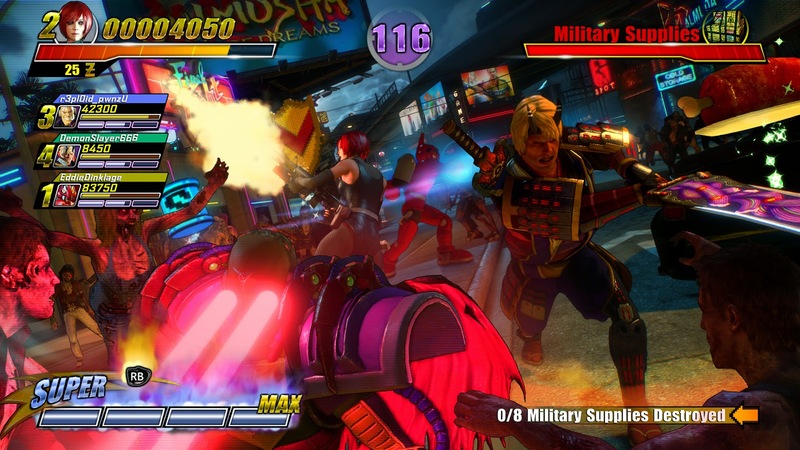 A cynic might argue the premise is really little different than Capcom's iOS games. Using microtransactions as a vehicle to siphon money from an IP without expending the budget to dedicate a game to it. I'm glad to see that CAPCOM finally gained a sense of humor about their utterly-ridiculously titled Street Fighter games. Odd, they would apply it to Dead Rising, however. Dat Felicia cosplay! Yes, please! lol I wasn't expecting nice from the comment on here, but I'm glad I'm not the only one that liked it. I haven't genuinely enjoyed a trailer for a game in a long looooooong time. This honestly looks like a stupid good ol' time! I know Dead Rising sometimes can be silly with cosplays, but this is way overly hilarious. I don't know, I've lost so many words when I saw that vid, but although I don't have XBOX and this game, I still like it. Oh lord that felicia cosplay gave me eye cancer. someone uploaded that MMX remix.